But there’s another technique that I really like and feel could be a much easier weight loss method for most: the calorie deficit diet. 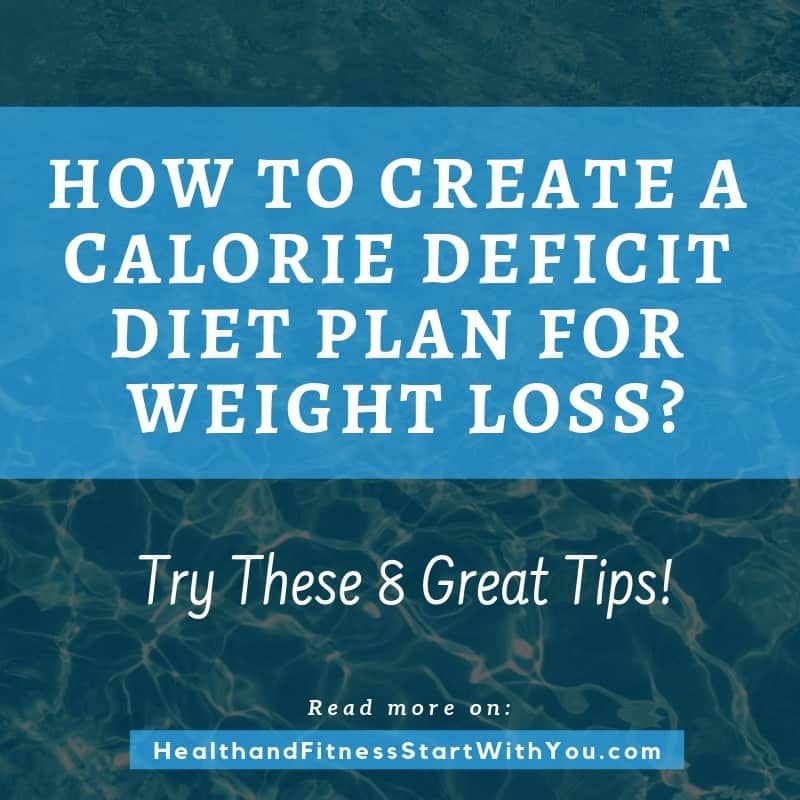 In this article, I’m going to show you how to create a calorie deficit diet plan so that you will be able to lose weight effortlessly. Interested? Keep on reading then! Calorie Deficit – What Does It Means? As the name suggest, calorie deficit diet means you’re eating lesser calories, so much so you’re in a calorie deficit or loss mode. This effectively means your body will then be burning more fats just to compensate on the deficit in calories. In truth, all weight loss methods incorporate calorie deficit for it to work – you need to eat lesser to lose weight. But while some of these weight loss methods might be too extreme to some (for example, I have a friend that can’t do intermittent fasting because he just can’t skip a meal or he will cease to function normally..), calorie deficit diet plan is a bit more easy on your body and won’t create such huge shock. But in a way, it will also take longer time to lose weight compared to these other methods. Losing a few pounds due to intermittent fasting or low carb diet overnight is something that I’ve done before. The same amount of weight loss could take a few days/weeks using the calorie deficit diet, and largely depends on how big the deficit is. With that being said, I would like to remind you that weight loss and diet is a marathon and you should always come with a mindset that you’ll do this for life. Something that does not give a quick result (like the calorie deficit diet) is not necessarily a bad thing. In fact, it can be the exact thing that some people need (like my friend above). I would also like to add that calorie deficit diet plan will work very well for those wanting to keep their weight in check. It’s very easy to fall into a the false misconception that you’re already good to go after dropping to your ideal weight and now can eat whatever that you want (I sometimes fall into this trap too lol!). As you’ll read after this, the calorie deficit diet plan will be a very good guide for you to keep your diet in check so that you won’t gain all those weights back again! How To Create A Calorie Deficit Diet Plan? So how do we create a calorie deficit diet plan? By eating less calorie than you need of course. Below, I’m going to run through my best 8 tips on how you can do that effortlessly. Often times people tried to diet but they don’t have any idea how to do so, thinking just by eating lesser food will do the trick. But not many people realize that not all foods are equal and each of them have different effect on your body. 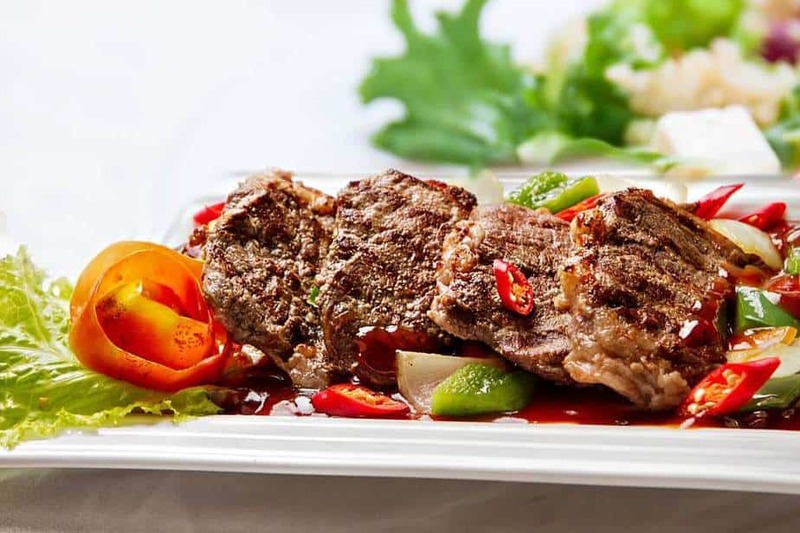 The tips that I’ll give you are geared to make sure your diet plan will be very efficient in giving the least calories, thereby ensuring your calorie deficit diet actually works. But before we go to that, we need to establish one very important thing, our calorie requirement. This is represented by our Basal Metabolic Rate, or BMR. Basal metabolic rate is quite simply how much energy our body uses per day. Again, not everyone has the same energy requirement as it varies depending on your body. Logically, a bigger and taller man will have to eat more food than a smaller and leaner man. There are many factors that will affect how much our body uses energy such as age (as you grow older, your body will burn less energy), height, weight and even gender. 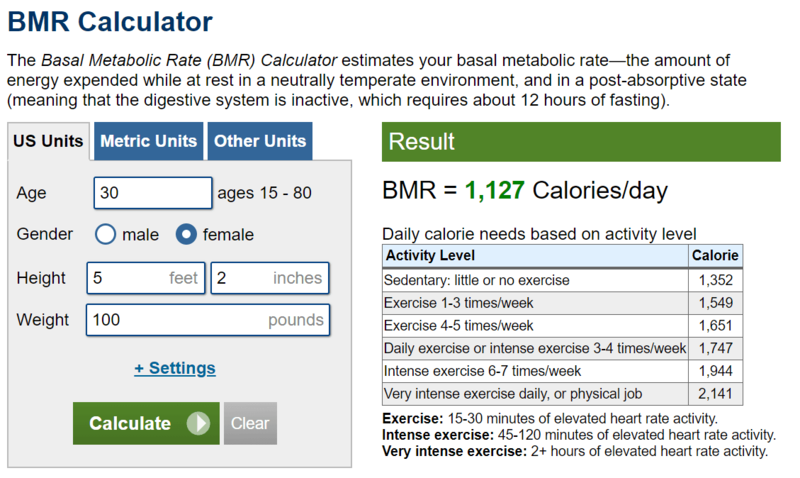 You can try this very easy online calculator to calculate your BMR. As you can see with the example above, the calculator will also give various calorie requirement for different activity levels. I’d recommend you take the sedentary activity level as your BMR unless you’re really an active guy that exercises regularly. Too many people I’ve met (including me LOL!) will often overestimated their activity levels thinking themselves to be quite active, while in actual fact they are sedentary. Once we’ve known our BMR, our job is to devise a diet plan that has calorie deficit to fuel our weight loss. I like to aim for a 30% reduction in calorie just to get some result faster. Suppose your BMR is around 1,300 kcal (as in example above), then a 30% reduction is 910 kcal and that should be your target daily calorie intake. Below are my top 8 tips on how you can create an effective calorie deficit diet plan for weight loss. The first tip, which is the most important tip, is to count calories in your food. Or more accurately everything that goes into your mouth including drinks, deserts, etc. Everything, except plain water, has some calorie in it so you’ll need to count the calories inside everything that you consume. I have to say that this part is quite hard to do as normal people basically have no idea whatsoever of how much calorie or energy our daily foods contain. The way I first learned it is to memorize that all foods (at least most of them) consists of 3 macro-nutrients which are carbohydrate (or carb), protein and fat. For each gram of carbohydrate and protein, you’ll get 4 kcal while fat contains the most calorie with 9 kcal per gram. Knowing this fact is the first step to understand that not all foods are created equally – if you’re indulging in those fatty parts of meat, you’re basically eating more calories! You can also try to find out how much calorie your typical meals contain, remember them and then do the math daily. You can find calorie information for typical meals in various websites such as webmd and calorieking. From here on, you are well-prepared to do calorie counting readily in your daily lives. I’d say that counting calories is the number one thing that you should do to create calorie deficit. But it can be quite hard for busy working adults to do – you can’t really control the foods that you got to eat, not enough time to check every single meal etc. Which is why the next 7 tips will be my tips on how you can easily create calorie deficit in your daily diet. Let’s check it out! Food and meals are not the only thing that govern how much calorie you consume, the meal portion also plays a large part in it. Specifically, HOW MUCH food inside the meal will govern the amount of calories. As I’ve mentioned above, 1 gram of carb and protein has 4 kcal worth of calories so the more you eat, the more calories you will consume. 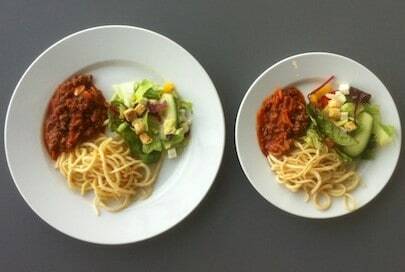 One easy way to control your portion is to get a good grasp of a typical food as benchmark. For example, a cheeseburger from McDonald’s contains about 310 kcal. From here, you can estimate how much calories a bigger sized burger, more meat, cheese etc. will have. Using burgers as example, you can then know how much calorie you’re consuming if you eat 2 cheeseburgers (310 kcal x 2 = 620 kcal) or half a burger (310 kcal / 2 = 155 kcal). A burger with double patties? Should be lesser than 620 kcal then right. Armed with this knowledge, your job to estimate your daily calorie in your meals will be much easier and you can do portion control for all your meals. The next tip is proven to be quite controversial, that is to stop eating or drinking sugar. I’m sure at least 80% of you are going to shake your head while reading this and claiming that I’m mad. Well, do hear me out on this first will ya? For a start, sugar is fully packed with calorie even at small amount. Just look at how much calorie a java chip frappe from Starbucks contain: a whopping 470 kcal! That’s more calorie than a McD cheeseburger (see previous tip) and it’s not even fulfilling! Simply cutting off one slice of cake or sugary drinks from your daily foods will reduce a huge amount of calories from your diet. Yes, I do agree that it’s quite hard to do so, especially if you’re already accustomed with your desserts. But trust me when I say that cutting off sugar from my diet has been one of my best dietary decisions over the past year. The key here is to focus on eating the “actual” foods – the meat, carb (bread, wheat, rice), and vegetables – to keep yourselves full. For drinks, I prefer plain water as I can drink a lot of it without feeling guilty or having to count calories. Another important side effect from not eating/drinking sugars is you’ll be able to reduce your insulin level significantly. Insulin is one of the hormones that will block the ability of the body to utilize body fat for energy. Drinking sugar waters will cause a spike in insulin as it tries to reduce blood sugar level and this will stop any body fat mobilization. This next tip is something that’s very powerful and will have huge impact to lower your calorie intake, but at the same time it’s very difficult to do. And that is to avoid oily and fried foods. As I’ve mentioned earlier, fat has 9 kcal per gram, almost double than carb and protein which have 4 kcal per gram. And guess what is made up of oil that we used to fry our foods? Yes you’ve guessed it right: fat! Frying (or worst, deep frying) our food will bask and coat the food with oil/fat. This is one of the reasons why deep fried foods will have lots of calories even for a small serving. For example, a small McD French fries can has up to 250 kcal of calories – which is about the same amount of calories with a cheeseburger! And it’s not even filling at all! I’ve got to be honest here that I’m also are not completely free of oily and fried foods… I mean, who could right? 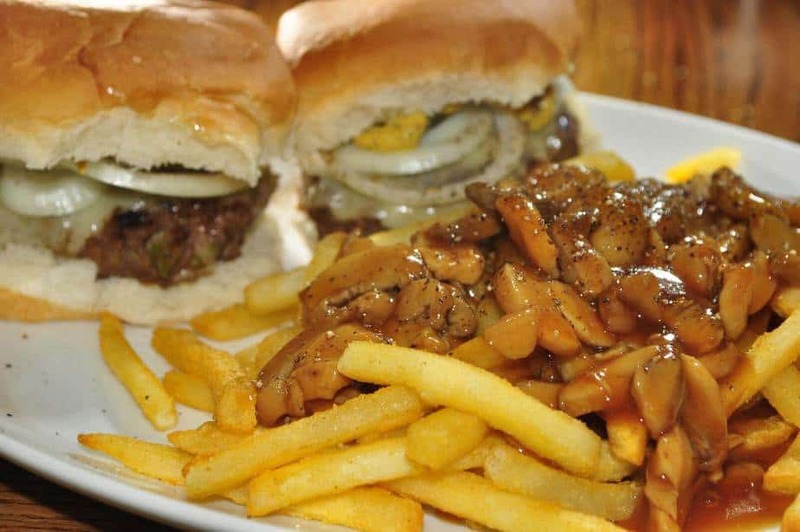 Due to the fat content, fried foods really taste amazing – especially when it’s piping hot. Which is why my suggestion is to limit and avoid as much as you can these oily foods from your diet. 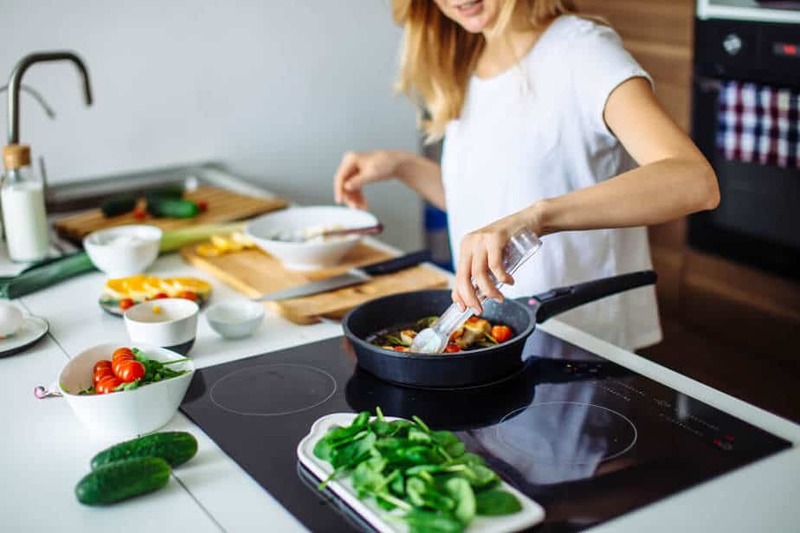 It will be fantastic if you can eliminate it all together but if you can reduce your amount of intake of oily foods, that will also help a lot in creating a calorie deficit diet to lose weight. 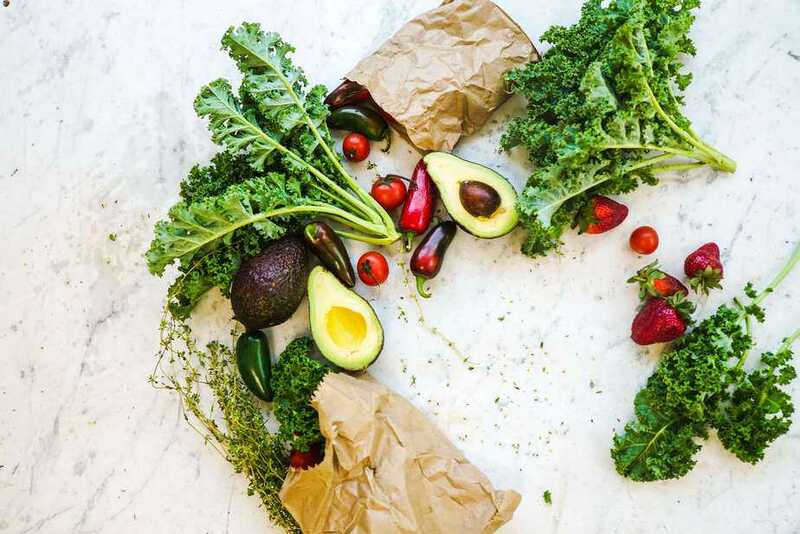 It’s well-known that vegetables are nutritious and should be eaten more but how does it ties up with calorie deficit diet? The key lies in getting you fuller by eating more vegetables with each meal – so that you won’t be tempted to eat more food that you should. Vegetables are rich in fiber which helps to make you feel full longer. By the way, I’d recommend to only eat green vegetables (the leafy ones are the best such as kale, spinach, etc.) as it’s very high in nutrition with very low calorie (hence, a nutrition dense food). Other non-green veges (carrot, etc.) 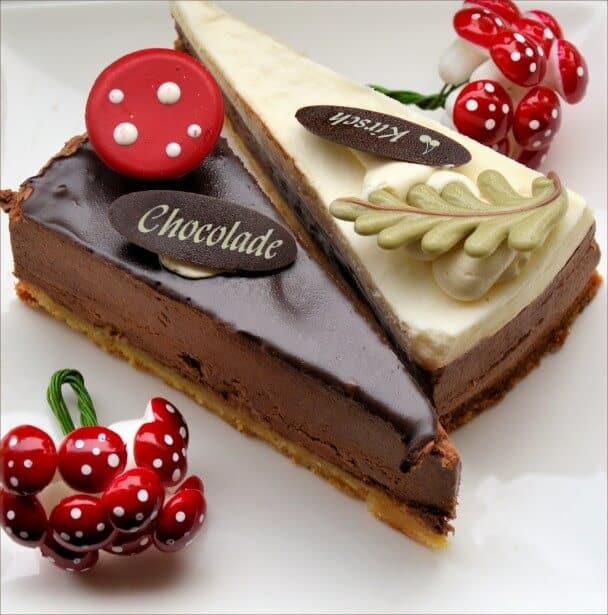 are also good choices but it usually contain a bit more calorie. In addition to that, vegetables also contain various vitamins and minerals that are very essential for your well-being. So how much vegetables should you eat? For me, I’d strive to eat at least a bowl of green vegetables with my dinner and lunch. You can either eat it raw as salad (I particularly love baby spinach with some lemon juice) or cooked into your choice of dish. Just make sure to eat loads of them to get the best benefits. Green vegetables are one of the things (apart plain water) that you can eat a lot without any repercussion. Without a doubt, it’s one of the best things that anyone can eat in order to get a healthy body. Who does not love fatty portions of meats? 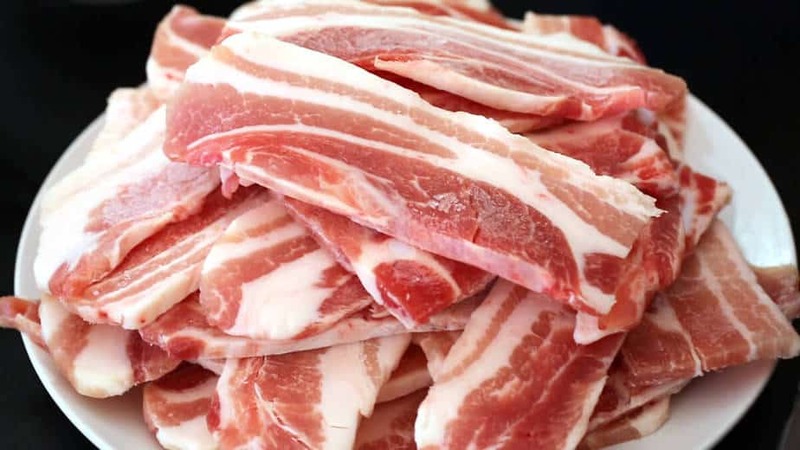 Chicken skins, filet mignon, ribeye, pork bacon – all of these pack lots of fats compared to other parts of the meat. And why does we care so much about fats? Because it contains lots of calories, more than double a bare protein has (see tip #4 above). So if you’re eating these fatty portion of meats, chances are you’re consuming more calories had you eaten the lean cuts instead. 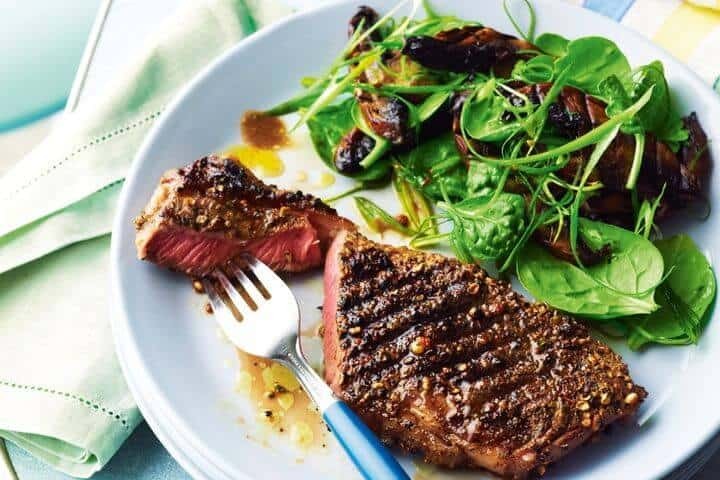 Don’t get me wrong though – I definitely love my ribeye steak – but when I’m trying to create a calorie deficit, it will never be considered in my list of foods to eat for that day. You can still indulge in it from time to time, but keep it sparingly so that your diet won’t be affected much by it. Water, specifically plain water, is very important to us human. As up to 60% of human body consists of water, it’s no wonder that drinking lots of water is important to keep our bodily function in optimum condition. With that being said, I need to emphasize that this only applies to plain water, and not your typical sugary beverage e.g sodas, alcohol, etc. Those flavored and sugary drinks will not do you any good and will just disrupt your weight loss target (see tips #3). But then again, what does drinking plain water have to do with calorie deficit? The key lies in water’s ability to quench not just your thirst, but also your hunger. While in a calorie deficit plan, the effective impact would be the hunger felt as you’re eating lesser than normal. Drinking lots of plain water will really help to stop the hunger until your next meal. The last tip is to learn how to cook healthy foods. Trying to reduce calories to create calorie deficit will be much easier if you have access to healthy meals. But if you’re a working adult, then getting a healthy meal everyday could be tough if you’re busy and have no experience in cooking. For example, too many times I’ve had to resort to junk fast foods just because it’s the most convenient for me at lunch or dinner. A healthier option might not be up to my taste and can be quite expensive (think those hipster organic cafes etc LOL!). That’s why I highly recommend that you cook your own foods as much as you can. That way, you can specifically control all the aspects of your meal down to the minute details. This will be beneficial for your calorie counting exercise as you are the one in control of the whole process from supplying ingredients to cooking the meals. Besides, you’ll be surprised at how many bodybuilders are cooking for themselves. Yep, most of those big bulky guys with muscles we can only dreamed of love to cook for themselves. Or it’s more appropriate to say that they HAD to cook for themselves as no restaurants are able to prepare a dish that they need. The thing is bodybuilders are just like us just in the opposite side – they require a specific amount of huge calories to get big, but with all the right macro-nutrients with little junks in it. To get to that calorie amount, you can always stuff yourselves with pizzas and cakes but these foods will only bloat them and does not give enough stimulant for growth. Hence, most bodybuilders like to cook for themselves as it enables them to really fine-tuned their meals to their specific requirement. 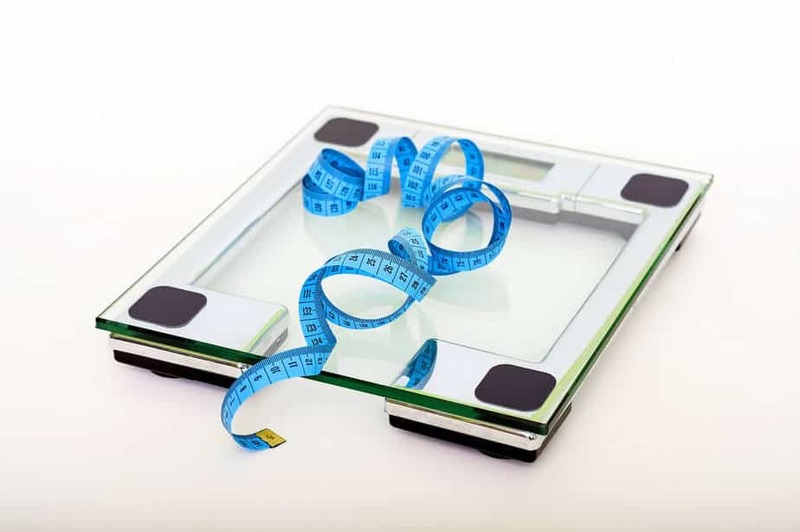 If you’ve been trying to lose weight but didn’t get the result that you want, perhaps you need to look in detail about your calorie intake AND calorie requirement. Different people have different calorie/energy need and creating a calorie deficit diet is the key feature in all weight loss effort. In order to do so, you’ll need to establish the calorie requirement (or your BMR) which can easily be calculated from online websites (here is one good site). The BMR varies depending on your physique such as height, weight, gender and age. From there, a calorie deficit plan can be created by establishing a calorie intake target that is 30% to 40% lower than your BMR. And from then, you’ll just need to ensure your calorie intake is always within that target consistently using the tips that I’ve shared above. With a calorie deficit diet plan, losing weight is a sure thing, even though I’d expect it will take a few months for a noticeable weight reduction to happen. If you’re thinking of losing weight in the shortest time possible, you might want to have a look at The 2 Week Diet Plan. It’s a diet plan that I’ve used to great success where I managed to get rid of 8 pounds in just 2 weeks! I highly recommend it to anyone wanting to lose weight fast. You can get it for $37 but I bought my copy for just $27 with a $10 discount. Do check this link to see if the discount is still available or not. I hope you’ve learned a great deal about how to create a calorie deficit diet plan to lose weight. Do let me know if you have any questions about it. I’ll do my best to help you as much as I can.